Welcome to the third night of terror that is my 31 Nights of Horror mega slumber party movie list! A countdown to the spookiest night of the year — Halloween! Sit back with your beach ball and prepared to get one hell of a tan! 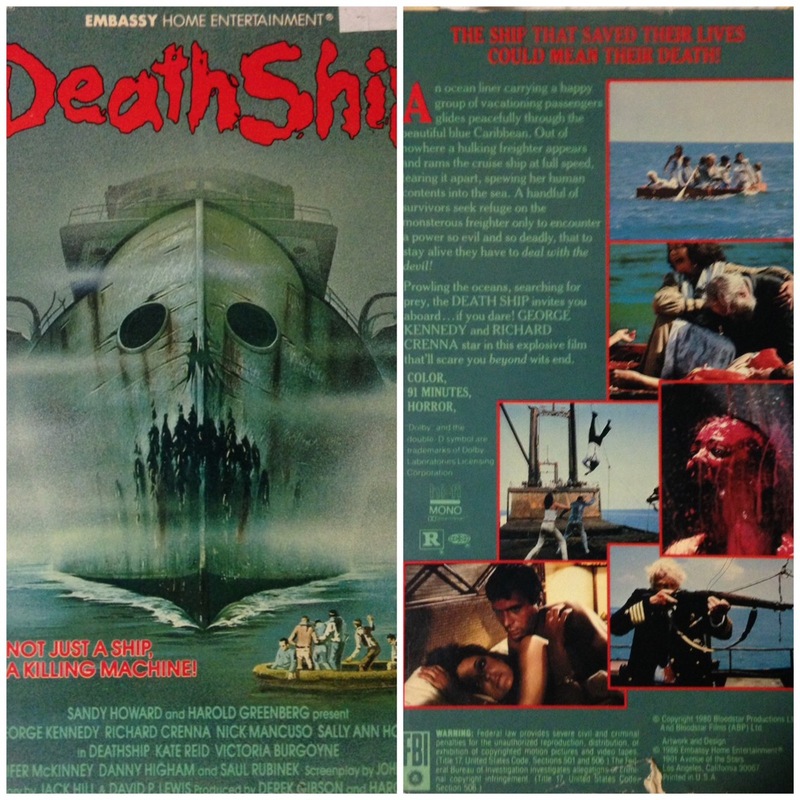 Although DEATHSHIP could be included in a summer horror movie marathon it deserves to be mentioned for its unique take on the “haunted house” genre of horror flicks. After all haunted houses are a big part of Halloween. A majority of this film is just one big ol’ slow burn – taking forever (nearly an hour) to get to the meaty juicy horror bits. But when the horror begins it is relentless – see bloody shower scene. The VHS slip bills it as a killing machine – rather than a haunting, but let me assure you that there is plenty of ghostly activity going on this ill-fated freighter. It turns out that this barge was once a NAZI torture vessel – let the screams commence.